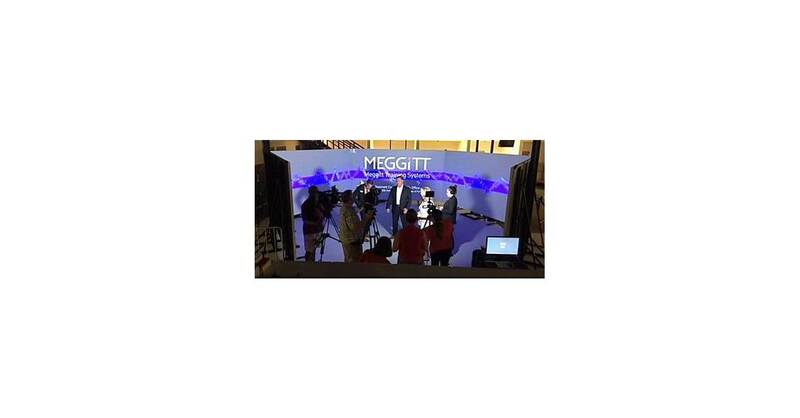 GWINNETT, Ga.–(BUSINESS WIRE)–Meggitt Training Systems announces the launch of test and evaluation with the Gwinnett County Sherriff’s Office for Meggitt Training System’s (Meggitt) FATS® 300LE. The FATS 300LE immersive virtual training system delivers virtual scenarios that train police officers in the split-second, use-of-force evaluations and de-escalation tactics they need to deploy in real-world situations. “We are pleased to work with the Gwinnett County Sherriff’s Office and provide them the opportunity to use the FATS 300LE, the next-generation immersive virtual training system. The FATS 300LE will help their officers improve their reaction times under simulated dangerous situations, sharpening their judgment and decision-making skills,” said Matt Cunningham, Director of Virtual Systems, Meggitt Training Systems. “This new system will be instrumental in training our deputies to successfully handle the wide range of situations they face in the field. This is a win-win for our deputies and our community,” says Sherriff Butch Conway. The FATS 300LE includes five, free-standing flat screens, each with 150”x84” borderless projection surfaces arranged in a hexagonal format that creates a 300-degree, virtual environment. A small entrance area completes the 360 degree circle. The FATS 300LE’s powerful software engine can support up to twenty simulated law enforcement weapons systems concurrently, including rifles, pistols, machine guns, and non-lethal deterrents like a Taser or pepper spray. The system syncs seamlessly with Meggitt’s wireless BlueFire® simulated weapons – with the form, fit and function of a live weapon, including realistic recoil when fired. The system tracks weapon movement to provide trainers with detailed information for post-action reports. Through its ability to replicate many different real-world situations, from domestic family disputes and traffic stops to school shootings, the FATS 300LE provides an advanced training solution to improve the way law enforcement professionals react and perform in stressful and life-threatening situations. About Meggitt Training Systems and the FATS 300LE: Meggitt Training Systems, makers of FATS® and Caswell technologies, a division of Meggitt PLC, is the leading supplier of integrated live-fire and virtual weapons training systems. Following the acquisition of FATS® virtual training systems and Caswell International's live-fire ranges and services, Meggitt Training Systems has continued to grow its capabilities based on the legacy of these two industry leaders. Over 13,600 Meggitt live-fire ranges and 5,100 virtual systems are fielded internationally, providing marksmanship, judgmental, and situational awareness training to the armed forces, law enforcement and commercial shooting range owners around the world. Meggitt’s FATS 300LE brings a 300° field of view to the user, providing realistic, engaging training. With high-definition on every screen and 5.1 surround sound, the users will feel like they’re in the action, facing decision-making pressures while maintaining situational awareness.